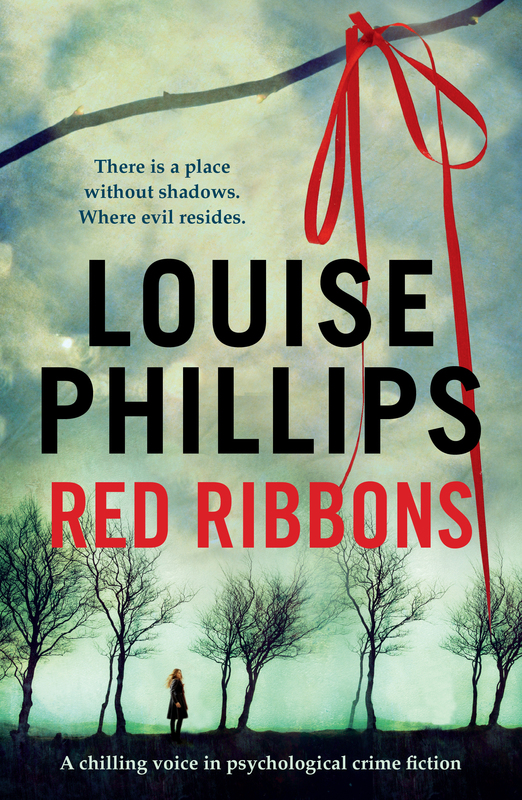 Red Ribbons, the debut novel by Louise Phillips, will hit the book shops on Monday, 3 September. But, if you can’t wait that long, it’s already available on Amazon, where reader reviews hail this chilling, psychological crime fiction book as one to make your heart pound and freak you out! Louise, as well as being an accomplished writer, is also an inspiration to all around her, offering help and advice to writers on every rung of the literary ladder. St Stephen’s Green Shopping Centre. Maybe I’ll see you there? Well the best way to describe it is to give you a mini-blurb. A missing schoolgirl is found buried in the Dublin Mountains, hands clasped together in prayer, two red ribbons in her hair. Twenty-four hours later, a second schoolgirl is found in a shallow grave – her body identically arranged. Police call in criminal psychologist, Kate Pearson, to get inside the mind of the murderer before he strikes again. But the more Kate discovers about the killings, the more it all feels terrifyingly familiar. As the pressure to find the killer intensifies, there’s one vital connection to be made – Ellie Brady, a woman institutionalised fifteen years earlier for the murder of her daughter Amy. Ellie stopped talking when everybody stopped listening. But what connects the death of Amy Brady to the murdered schoolgirls? As Kate Pearson, begins to unravel the truth, danger is closer than she knows. The bad man is everywhere, but can she see him? 2. Which character, that you have created, is your favourite and why? That’s a hard one. When I finished the first draft of the novel, I missed all my characters, even the killer. It was before Christmas, and I had no Christmas shopping done, no decorations on the tree, but still I turned around when I got to the end of the manuscript, and I thought, gosh, their voices won’t be living with me every day anymore! And it felt like they had vanished. But of course they did come back – in the editing process and beyond. And in a way it was like old friends visiting, and in a kind of way, like they had never really left. But which one is the favourite???? I think it has to be Ellie, mainly because she went on the biggest journey. I also wrote her in first person narrative, which is always a more intimate experience for the writer. I lived her life for a time, or as close to it as a writer can with their fictional creations. Ellie is the woman who stopped talking because everyone stopped listening. She is the woman life left behind for a time, a person on the margins, but a woman of great strength in my opinion. I knew that from the moment she came to life on the page. Ellie was her own woman, and a testament that there is always light within the dark. They come from everywhere, and nowhere, the present and the past, the imagined and the actual. I know that sounds very vague, but it is kind of a vague process. I sometimes think logic has no place in writing. By this I don’t mean you should put a garbled mess on the page, but more that sometimes it’s not a good idea to try to quantify it too clearly. On occasions, you are not completely sure what the story will be about, you have an idea yes, but often the end result is very far from what you perceived initially. It usual starts with an idea or a visual stimulation for me, something which asks a number of questions. I like to write about things which will push me as a writer, and also something with a huge emotional connection. It has to be real, it has to mean something to me, otherwise, if it doesn’t, and it doesn’t excite me, well it isn’t going to excite the reader either. 4. Who, in the writing world, has inspired you most? So many writers, far too many to put down here on the page, and many of which are Irish. If there was an Olympics for writers, Ireland would come home with plenty of gold medals. I love great prose, and by that I don’t necessarily mean heavy literary stuff, but words which get inside my head emotionally. Most readers are the same. You recognise something good very quickly – it simply works. And when you write, you very often get a sense when something has that extra quality. It usually arrives around three o’clock in the morning when you want to sleep, but an idea is bubbling inside of you. If I had a euro for the amount of times I’ve gotten out of bed in the middle of the night and written in long hand, well I’d have a much bigger bank account! Like many, I have a favourite book shelf, and when I’m old and very grey, I’m going to take the books down one at a time, and read them slowly all over again. 5. When and where do you write best? Early morning generally before the rest of the world gets in the way. Life is complicated, and we are bombarded with stuff, not simply with work or family, but noise everywhere – television, the radio in the car, social media, voices of strangers, and the credit card bill that you have to pay. It all gets caught up in a traffic jam called life. I live in the Dublin mountains, and in the early morning I can hear birdsong. After stormy nights, I listen to the wind whisking across the valley. It reminds me of when I was younger, and I would get up before everyone else woke up, to catch the sunrise as it reached a gap in the tenement buildings where we lived. In the morning you are fresh, unburdened in many ways. As to where, I have different places, but I’ve often written in the bedroom with all the blinds down, blocking out a beautiful day. You don’t need great views to write, or even birdsong – all you need is an idea, a pen and paper, and the mental space to create. At the moment I’m reading, Ancient Light by John Banville, but I have a stack of books by my bed yet to be read. They are The Paris Wife by Paula McLain, On Canaan’s Side by Sebastian Barry, Slaughter’s Hound by Declan Burke, Solace by Belinda McKeon, and Blue Monday by Nicci French. So much joy, so little time!!! 7. Could you ever see yourself writing in another genre? Yes is the simple answer to that, and perhaps even for a different age group. I didn’t set out to write a crime novel, although I recognised fairly early on that my writing tended to visit darker issues. My children have often asked me why I don’t write about happy things, but I don’t see it like that. I like to think I find light within the dark, hope when there might seem little. Crime fiction is well suited for exploring elements with high emotional stakes, and I do think genre is important as a means of quantifying the script for the reader. At the end of the day however, you write about something you feel passionate about. If that happens to be under the crime umbrella, well that’s fine. If it’s another kind of exploration, well that will work too. Most of us read many genres, which is good, and writers and readers are like-minded souls. 8. Do you think it’s important for writers to connect with their readers on-line? For sure. Online participation is not for everyone. I can understand that. Some writers find it makes their environment too noisy, and I can understand that too. Online presence however is part of our current communication system. Years ago complete strangers got to know each other, and became lifelong friends, writing letters to their pen pals, others people might have spoken for endless hours on their phone. Ireland is a nation of talkers – we didn’t have the highest per capita use of mobile phone users in Europe because we don’t speak a lot to one another. Now online activity, Twitter, Facebook, Blogs, email, is everywhere. When cars were invented, some preferred another means of transport. It is of course down to the individual. A writer needs to connect with their readers, or potential readers. The emergence of writers going down the self-publishing route has broken down many of the old barriers to publication. If you are happy to connect with others online, you will find an audience – at the end of the day, you can have the best story in the world, but you want people to read it. 9. I know you’re currently working on your second novel, The Dolls House, can you share a little about it? Yes, I’m writing The Dolls House, and yes, I’m very excited by it. I’ve chatted to a couple of people about it, and when I do I notice I start to talk faster, and louder, and my eyes open wide – all tell-tale signs! I can tell you it involves hypnosis, the sub-conscious, the death of a well known television personality, and memory. If I was to put a question out there, it would be – What if the one memory which could save your life, is the thing you cannot remember? You can read the prologue for The Dolls House on my website www.louise-phillips.com but I will give you a quote from it as a kind of introduction. 10. And finally, what do you predict will be happening when I check back with you in a year from now? Well, it will be six weeks to publication of The Dolls House. I hope, and I think, I will have learned a lot along the way. I’m learning all the time, and not just about writing. I’m learning about all aspects of one of the biggest contradictions of all – the solitary writing process saying hello in a very public way to the world outside! I look forward to checking back, Louise, after we’ve had a taste of Red Ribbons. In the meantime, we’ll just have to whet our appetite with the Red Ribbons trailer . . .
RED RIBBONS Trailer – Click Here!